Mantis is a Marvel character known for being a member of the Guardians of the Galaxy. 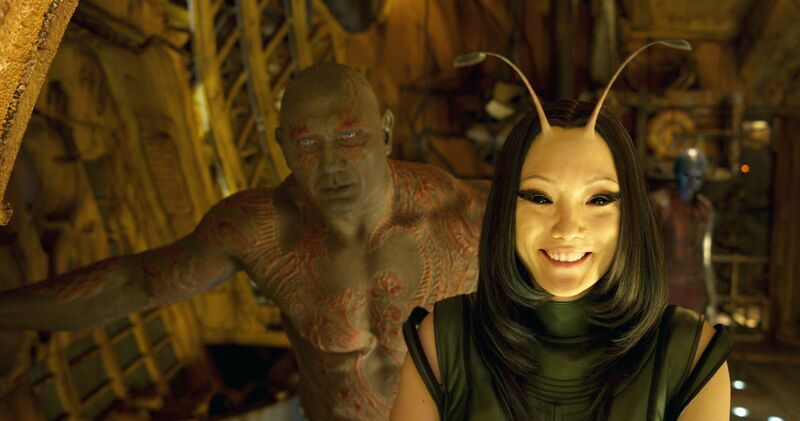 Actress Pom Klementieff has been hired to play Mantis in Guardians of the Galaxy 2. 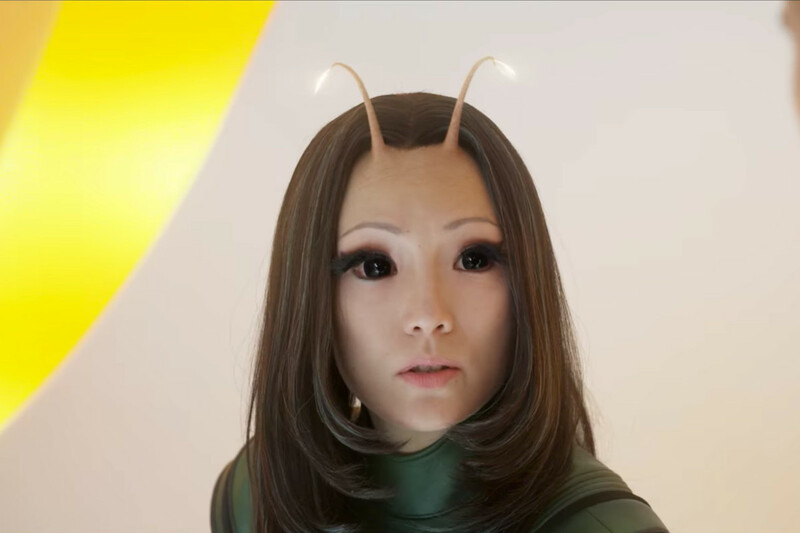 Mantis also appeared in Avengers: Infinity War. 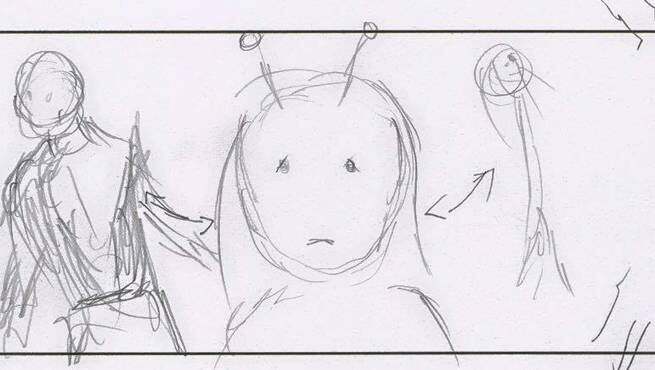 The Mantis in the films has a different origin than her comic counterpart. Mantis is a pretty weird character that has been published by 3 different companies which means her history is totally crazy. After her creation at Marvel she appears in DC the Eclipse then returns to Marvel. Mantis's father is the German mercenary Gustav Brandt who marries a the sister of a Vietemese Warlord named Lua. Lua's brother Monsieur Khruul disaproves of his sister's marraige to Gustav and hunts the pair throughout Asia. During their time together Gustav and Lua have a child together. All does not end well though Khruul catches up to them burns down their home killing Lua and blinding Gustav. Gustav finds sanctuary in with a group of monks called the Priests of Pama. The Priests of Pama are renegade group of Kree who are attempting to bring back an ancient alien race known as the Cotati. The Cotati were a sentient tree like race that shared the Kree homeworld. The Kree nearly wiped them out except for those preserved by the Priests of Pama. She is trained by the group to become the Celestial Madaonna or to effectively mate and recreate the Cotati. 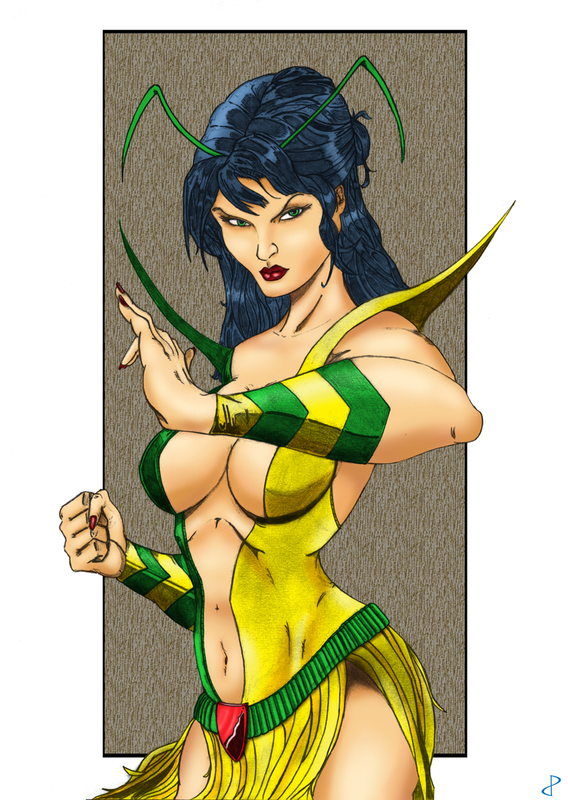 Mantis is trained heavily in meditation, and martial arts of the Kree as well as telepathic abilities of Cotati. The group eventually releases her to live a normal life amongst humans while they train their 2nd candidate Moondragon. The group hopes that by Mantis living a life among-st humans she will learn humility. empathy and understanding. Moondragon is never able to learn these things and so in the end Mantis is selected as the Celestial Madonna. This comes at a stiff price though as her human life is somewhat brutal living as a house girl in a brothel in Ho Chi Minh city. She later joins the Avengers where she eventually reunites with her father who had become the Zodiac member Libra. Libra tells Mantis her full forgotten history with the Priests of Pama. Mantis re-meets what is left with the Priests of Pama. In a special ceremony she units with the last of the Cotati and becomes a big ball of energy. In this form she helps restart the Cotati. She eventually regains her corpreal form though her skin becomes green and has antennae. 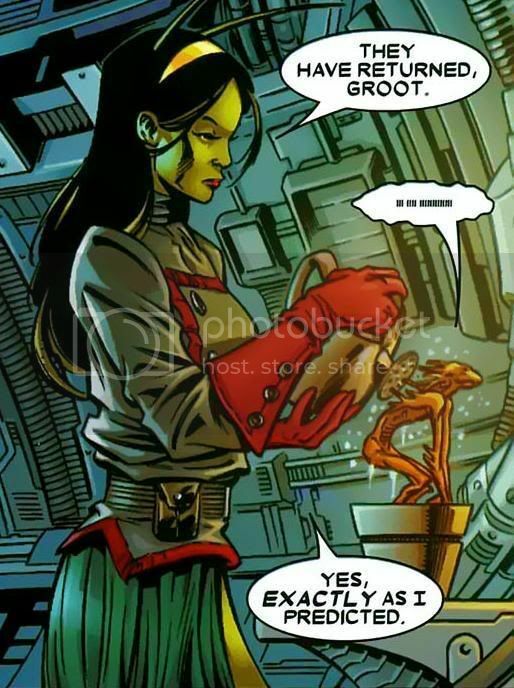 She is brought back and has become a regular telepath on the Guardians of the Galaxy team along with Moondragon. Peter Quill finds her in a Kree prison and once freed she joins StarLord's team of intergalactic misfits. It is revealed that Quill at one point has Mantis use her powers to manipulate the members to joining the Guardians of Galaxy. Meditative abilities that give her vast control of her body, even involuntary functions like heartbeat. 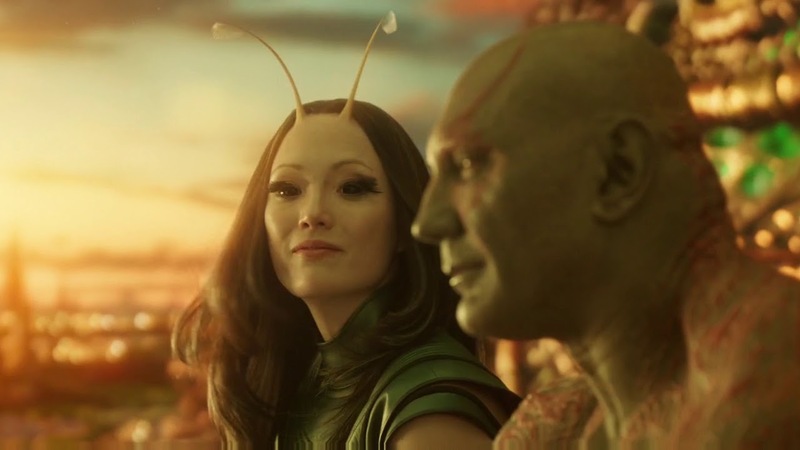 Actress Pom Klementieff played Mantis in the film Guardians of the Galaxy 2 Pom appeared in the film Old Boy prior to being cast for the role in the MCU. Mantis returned in the film Avengers: Infinity War and is expected to appear in Avengers: End Game and Guardians of the Galaxy vol 3. 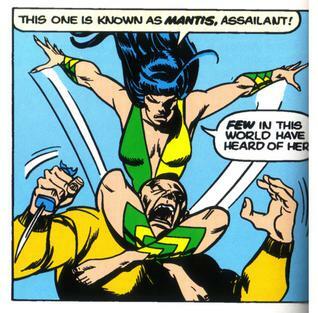 The origin of Mantis is different than in the comics. In the MCU she is part of a species that come out as Larva but turn into humanoids. Her species has empathy powers that allow her to feel other's emotions and also to cause them to awaken and go to sleep. 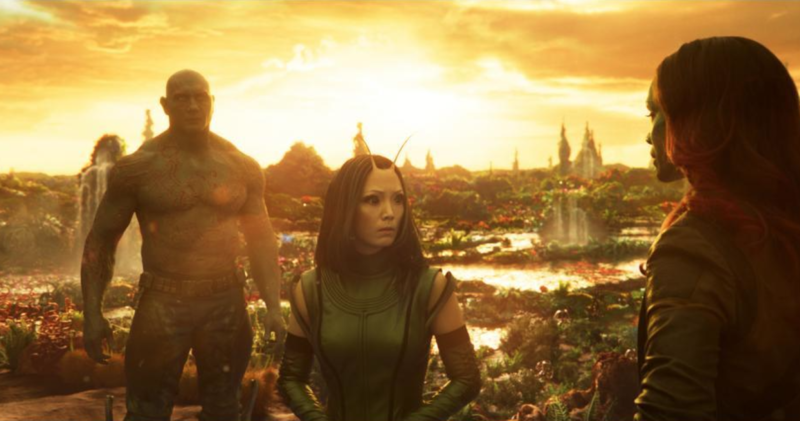 Mantis Images from Guardians of the Galaxy Vol 2 and Avengers Infinity War.